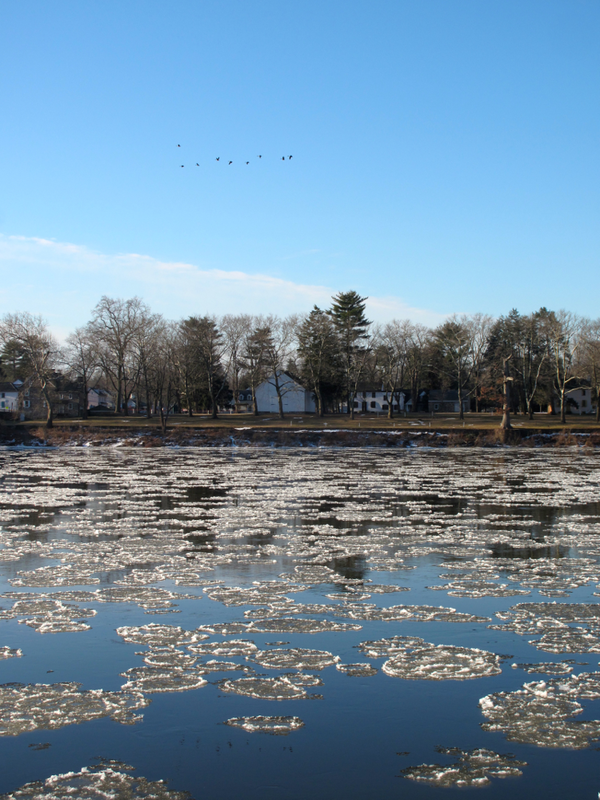 This morning nwc and I went to inspect the Delaware, since rumor had held that it has been so cold of late that it had frozen over in places and that chunks of ice were floating downstream. While we did not witness any freezing over (except for bits around the edges, as expected), I can testify to seeing giant lily pad-like chunks of slushy ice floating down the river at a much higher velocity than I anticipated. They made lovely sounds when they ran into each other, like two sandbags cuddling for a nap. Still, I'm glad that it's warming up.